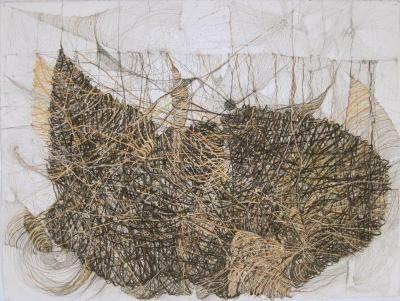 Abby Goldstein, Untitled II, charcoal, pencil &Charcoal gouache, 22 in X 39 in, 2007. 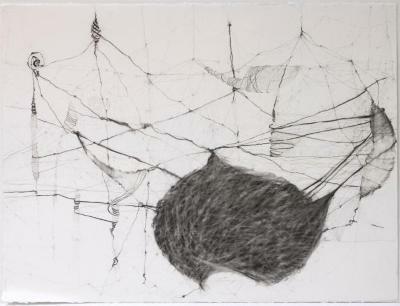 Abby Goldstein, Untitled III, Charcoal and pencil, 22.5 in X 30 in, 2007. 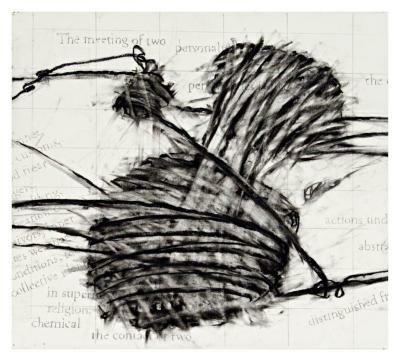 Abby Goldstein, Over and Over, Charcoal and pencil on paper, 90 in X 20 in, 2007. 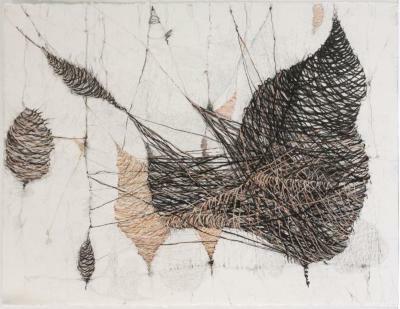 Abby Goldstein, Make, Charcoal, 15 in X 15 in, 2007. Abby Goldstein, Distinguished, Charcoal, 15 in X 22 in, 2007. Abby Goldstein, Body, Charcoal and pencil on paper, 15 in X 22 in, 2007. Abby Goldstein, While We Walk Onto a Horizon, Charcoal and pencil on paper, 18 in X 11 in, 2006. 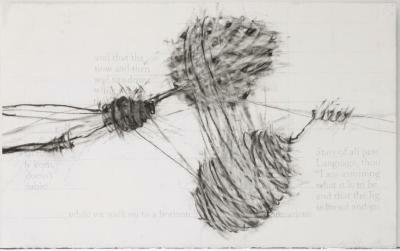 Abby Goldstein, A Hand Swarms, Charcoal and pencil on paper, 30 in X 11 in, 2008.